What Is Galliano L'Autentico Liqueur? Galliano is a popular herbal liqueur with a golden yellow color that is used in a variety of cocktails and should be a staple in today's well-rounded bars. It is used in a number of popular cocktail recipes including the Harvey Wallbanger, which was a big hit in the 1970s and is seeing a renewed interest. 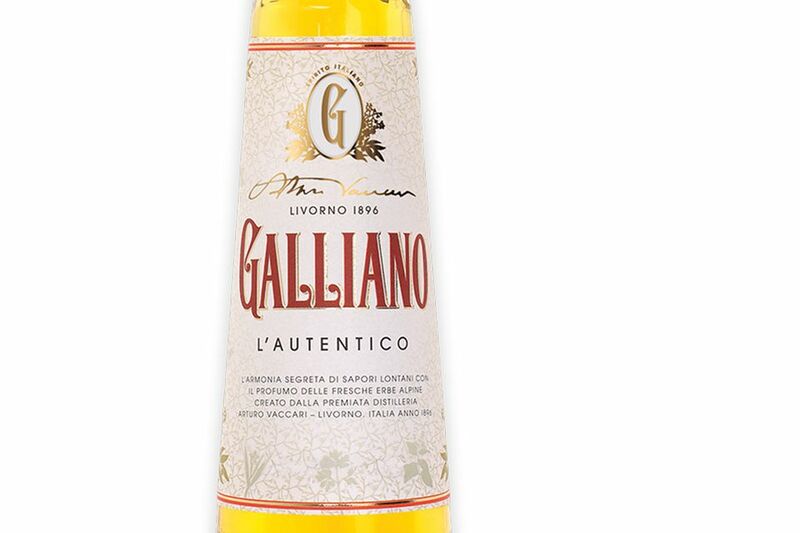 Galliano L'Autentico has been produced since 1896 in Livorno, Italy. It was created by Arturo Vaccari at his newly formed distillery to honor the fallen Italian war hero Giuseppe Galliano who gave his life in the first Italo-Abyssinian War (1895-1896). Though Vaccari created the recipe to be 'a flavour all of its own' it is said that he based it on a homemade liqueur carried into battle by Galliano. In 1989, the recipe for Galliano was changed after the brand was purchased by Remy Cointreau and it was rebranded as "Galliano Vanilla Liqueur." After being purchased by Lucas Bols, the recipe changed again to what has been billed as the 'original' recipe and the label changed as well to Galliano L'Autentico ("The Original"). Galliano is one of the many herbal liqueurs which have a proprietary and secret recipe. It uses a blend of around 30 Mediterranean herbs and spices and is known for its vanilla and anise flavor profile. Included in the brilliant gold liqueur are anise, cinnamon, juniper, lavender, musk yarrow, peppermint, star anise, and vanilla. It too can work in any 'vanilla liqueur' drink recipes, though it will add extra elements of flavor beyond the vanilla. This can create some very striking cocktails. Another thing that stands out about Galliano is the height of the bottle. Bartenders who stock it are all too familiar with the dilemma. It is a towering 18 inches tall and is a skyscraper compared to almost every other bottle of liquor on the shelf. For this reason, you will often see that elegant bottle of Galliano standing on the sidelines in the only place of the back bar that will hold it. Galliano is a fantastic accent flavor for cocktails and its unique flavor profile makes it hard to substitute. The vanilla notes with hints of anise and other herbs mix well with almost any flavor. It is best when given the opportunity to shine through the other ingredients. As you begin to mix with Galliano, you will find that it's surprisingly versatile. It will, of course, mix well with vodka as we see in the Harvey Wallbanger, though you'll find that the tequila in the Freddy Fuddpucker is a little more interesting. For an elegant whiskey mix, there's the Blind Pilot Cocktail, which pairs the liqueur with sweet vermouth and bourbon. Galliano is also used in some very fun cocktails. There is the rum-filled, tropical taste of the Yellow Bird and the delicious cream of the Golden Cappuccino which features espresso vodka. Then again, you might try a recipe like the Spiked Root Beer Float or a Jello shooter that mimics those delightful little Candy Corns we see every Halloween. With a bottle of Galliano in your bar, you're guaranteed to never be bored in your bar. Italian herbal liqueur using 30 herbs, spices, and extracts with a golden yellow color. Retails for around $35 for a 750ml bottle.